OK, so if you haven’t heard Joey Ingram talk to Bill Perkins before, check below for a few episodes to sample. If you’ve been following Perkins on The Poker Life Podcast, you won’t want to miss this one. Bill is writing a book (and an accompanying app) and he talks with Joey all about it. But wait, there is more, nearly 3 hours worth! And those previous samples can be viewed below. If the story of a poker pro creating videos analyzing the play in famous poker hands, only to run into problems with the social media site hosting said videos sounds familiar to you, then congratulations, you’ve been paying attention. This time it’s Alec Torelli on the wrong side of the copyright issue after posting a video with his thoughts on a hand from the World Series of Poker Big One for One Drop in which Dan Colman triple barreled Antonio Esfandiari. Last we saw, it was Doug Polk having issues with his vids on YouTube and even his Facebook page. More recently Doug had an issue with Torelli. Hey…you don’t think…....naaaaa. Wait, seriously??? No…. it’s just a coincidence….right? That is one cool poker trophy! Borgata grinder Abraham Korotki took down the 2017 Borgata Summer Poker Open Championship this past weekend winning more than $359,000. Korotki bested 2015 World Series of Poker Main Event Champ Joe McKeehen in the heads up battle for what would be his record ninth Borgata title. The event drew a record 600 entrants with buy-ins totaling $1.5 million! Check out Borgata’ coverage of the series on their blog here. Any player that participated in one of the live Summer Poker Open Events—even the Secondary and Satellite events—has qualified for the BorgataPoker.com online ‘Bricks-to-Bits’ Freeroll on August 13. Find out all of the details here. Whether you play poker on the internet or at some brick and mortar casino, here are some effective tips that can help you start playing the game like a pro in quick time! On a side note, if you’re fond of playing Texas Hold’em online, you can make use of these Bet365 promo codes and maximise your returns. We all know that poker is as much a game of chance, as it is about mental strategy and skill. It’s one of the few card games wherein you can lose all your chips despite having a winning hand, or win everything despite having losing cards. It’s also a lot about making the most of others’ weaknesses, and recognising your own. Whether you’re playing Texas Hold‘em in a land-based casino or on the Internet, it’s important that you take your time to go through the table you’re planning to get seated at. You should also review your available funds and carry out a fair assessment of your skill-level before playing. Find out if there are more seasoned players on the table or if the stakes are higher than you normally prefer. You may be better off at a lower stakes table if that’s the case. It’s any day better to be the most experienced player on an easier table than being a newbie among seasoned pros. Although someone may be able to teach you the rules of the game, and provide you with some helpful insights, the best way to master Texas Hold‘em poker is by practising as much as you can. At core, poker is all about self-discipline, critical-thinking ability, keeping your emotions in check and the ability to recognise others’ weaknesses. Please note, you need not play the game for decades to acquire these skills. Jerry Yang, one of the reputed poker players, won the WSOP title with no more than 2 years’ poker experience under his belt. It all comes down to practice and constant learning especially when it comes to big events such as the WSOP. One of the important aspects of this learning is mastering poker tells. 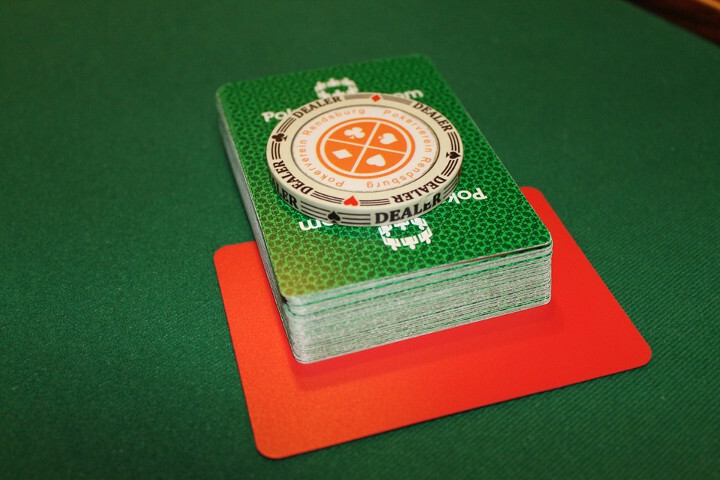 A tell is any reaction, habit or behaviour which can reveal important information regarding a player’s hand. These tells are applicable to both advanced level as well as new players. While you try to master them, please keep in mind there’s nothing that can be termed as a sure thing. In fact, experienced players are known to fake tells in order to throw other players off track. Conventionally, tells have always been about eye movements, anxiety, boasting, frequent glances at chips and body language. Considering a lot of poker is played online these days, the tells have also changed. Online tells mainly involve frequent changes in bet sizes, deviations from normal betting patterns and pausing before making moves. You can also make out a lot from the players’ rants and chats. All in all, it’s about selecting the right table and gradually developing your skills to consistently beat the other players.